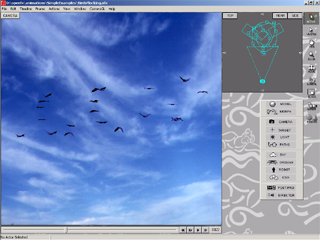 The main screen of the OpenFX Animator, with the classic 4-pane view. 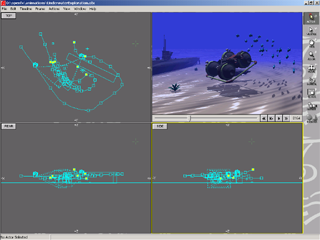 The top right window shows an OpenGL preview, and the rest show various angles on the camera angles and movements of the actors within the scene. 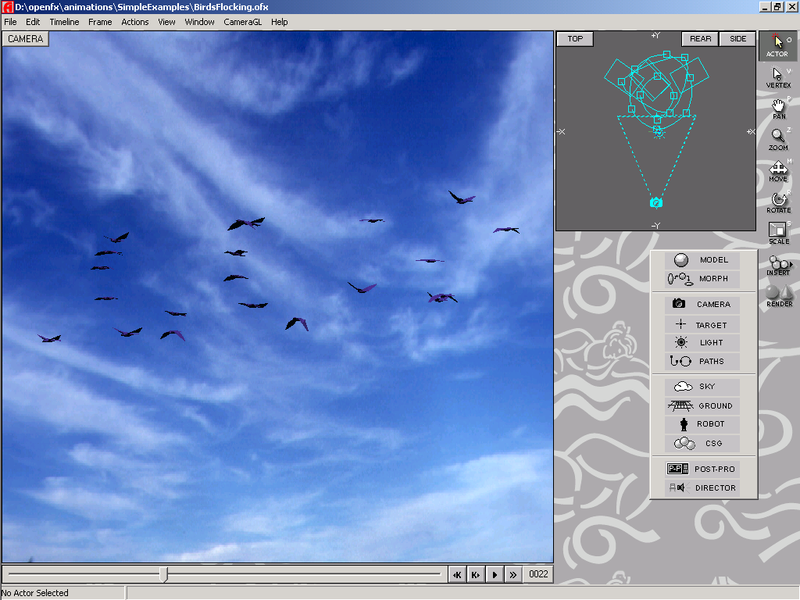 A different view of the animator, with the preview screen maximised, and a 'quick render' drawn in there as a rough idea of what the current frame looks like. Also notice one of the menus is open on the bottom right. Check out the keyframer at the bottom of this shot, along with the co-ordinate window floating on the bottom right. 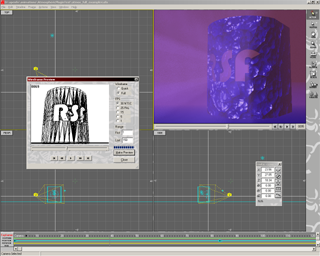 The render preview on the top right window demonstrates the volumetric fog post-processing plugin, and there is a speedy wireframe of the animation going on to the left.